Thank you, Jeff for sharing this very personal look at your life with us. 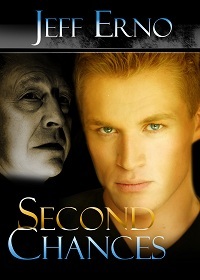 I have already mentioned his book "Bullied," but Jeff also has a soon to be released novel that I am very much looking forward to: Second Chances, coming January 1, 2012 from Camel Press. Pre-order now at Amazon. Doctor Timothy Drayton has devoted his entire career to developing the technology to prolong human life. His entire focus has been upon creating a computer chip which can be implanted into the human brain, allowing human consciousness to be transferred from one human subject into the mind of another. Given optimum circumstances, he is confident that he can now preserve the consciousness of a dying patient into the mind of a donor subject with an electronic surgical implant.